Joan F. Pfister, age 81, passed away Wednesday, August 30, 2017 at Ascension All Saints Medical Center. 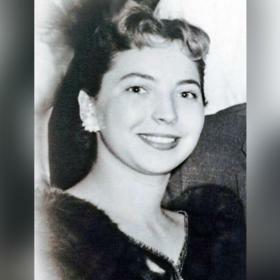 Joan was born in Racine, September 7, 1935, daughter of the late Louis and Carmilla (Nee: Calvelli) DeMark. 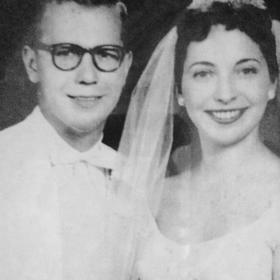 On August 24, 1957 at St. Mary’s Catholic Church in Racine she was united in marriage to Dr. Francis Pfister Jr. who preceded her in death, October 5, 1996. 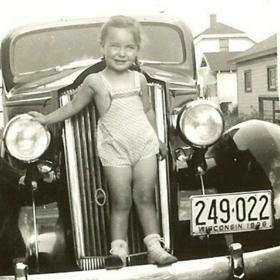 She resided in Marinette, WI from 1970 until returning to Racine in 1992. 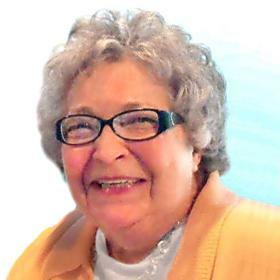 A faithful Catholic, Joan was a dedicated member of Our Lady of the Holy Rosary Church. She will be remembered fondly as a witty observer of politics, her sense of humor, and her great love and devotion to her family. 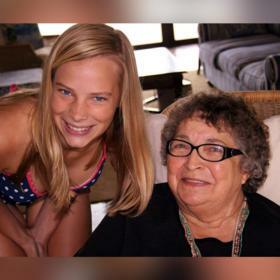 She will be dearly missed by her children, Camille (Casimer) Sowa of Racine, Thomas (Amy) Pfister of Pewaukee, Anne (Todd) Mayhew of Gilbert, AZ, Richard (Kristi) Pfister of La Jolla, CA; daughter-in-law, Carol Pfister of Seattle, WA; "adopted son", Steve Slayton and his daughter Michelle; her grandchildren, Michelle (Rob) Long, Julie Pfister, Thomas (Janelle) LaCombe, Anthony (Amber) LaCombe, Dominic, Allyson, Sammy, Zach, and Jake Pfister, Antonia, Abby, Luke, and Natalie Mayhew, Erika, Alexandra, and Nick Pfister; step grandchildren, Breanna and Ryan Sowa; great-granddaughter, Leah LaCombe with a brother on the way; brothers, Thomas (Nancy) DeMark of Paradise Valley, AZ, Richard (Bette) DeMark of Phoenix, AZ; sisters-in-law, Gwen Pfister of VA, Helen Kucharski of Sun City, AZ; nieces, nephews, other relatives and many dear friends. In addition to her parents and husband she was preceded in death by her son, Michael Pfister. Relatives and friends may meet with the family Saturday, September 9, 2017 at the funeral home from 9:30 A.M. until 10:30 A.M. A Requiem Mass will begin at 10:30 A.M. with Rev. Bernard Colussy O.F.M. officiating. Interment will follow at Holy Cross Cemetery, Hwy 32.